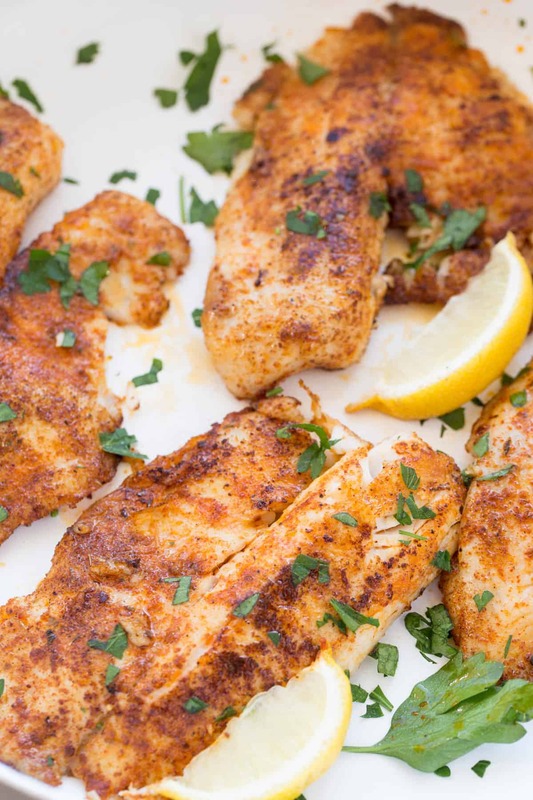 This Blackened Tilapia Fish recipe is ready in under 10 minutes. 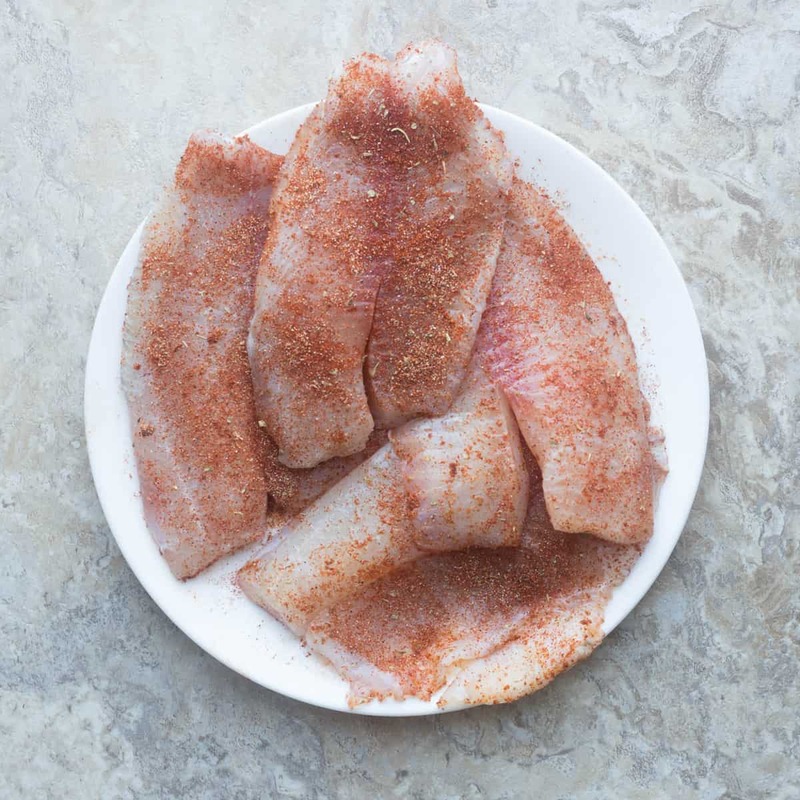 The tilapia is generously seasoned, and once cooked becomes so flavorful and flaky. Enjoy the fish with a side of mashed potatoes. Try our popular Creamy Vegetable Tilapia Casserole. This tilapia dish is not only easy and quick to make, it feels like you’re enjoying a fancy meal. The seasoning adds so much flavor to the rather bland fish. It’s a great recipe to make when you are busy and need a quick dinner. how to cook tilapia fillets? Tilapia is so easy to prepare. It can either be broiled, baked or cooked in a pan. Regardless of how you cook it, the tilapia is usually cooked in under 10 minutes. 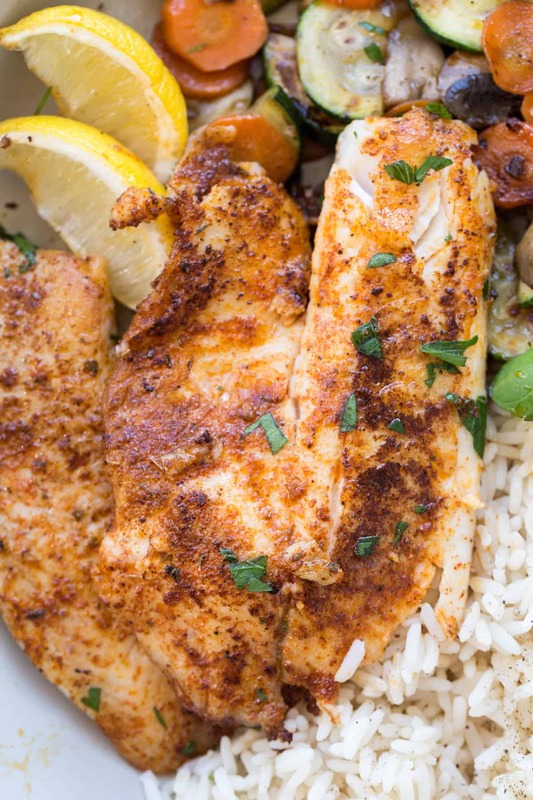 how to make blackened tilapia in a skillet? Combine all of the ingredients for the seasoning. Generously season the tilapia on both sides. can I prepare tilapia in advance? Yes, you season the tilapia several hours in advance and refrigerate it until it’s ready to be cooked. This makes for a really easy dinner. 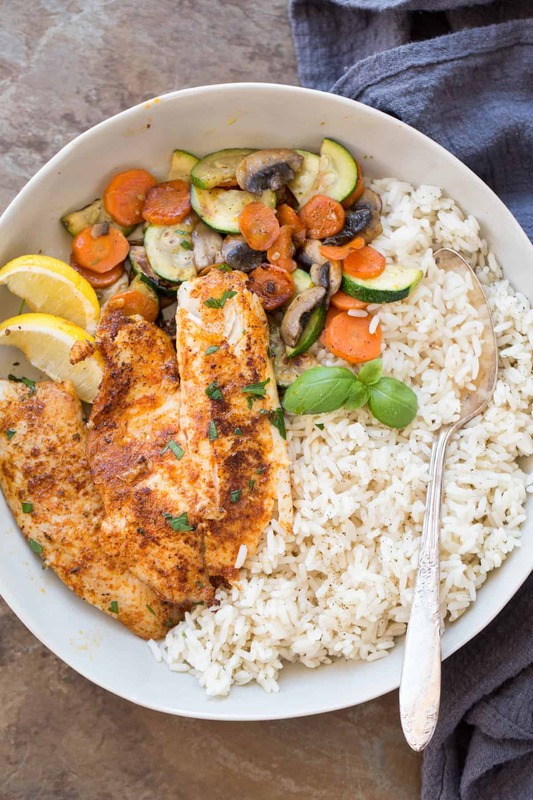 If you don’t like tilapia or don’t have it on hand, any white fish will work in this recipe. The cooking time may slightly vary depending on the fish you use and the thickness of it. what can you serve with tilapia? You can serve this fish with just about any side. Mashed potatoes, rice or even a side of pasta will all work great. Serve with a side salad to complete the meal. can I cook frozen tilapia? No, you cannot cook frozen tilapia. Since the fish cooks really quick, it must be thawed or else the outsides will burn while the inside of the fish will be uncooked. I hope you loved the recipe for this easy pan-seared tilapia. Don’t forget to leave us feedback below if you make the recipe. We so appreciate it. In a small bowl combine all of the ingredients for the seasoning. Pat dry the tilapia fillets. Season both sides of the fillets. In a large skillet, over med/high heat, add oil. Once the oil is hot, add tilapia fillets and cook 2-4 minutes, per side until the fillets are flakey and cooked.